Nicola Adams could be denied the chance to add Commonwealth Games gold to her Olympic title because of an internal dispute within English boxing. The row centres on modernisation of the sport's English amateur governing body. The International Boxing Association (AIBA) warned English fighters could be banned from major competitions if a resolution is not found this weekend. 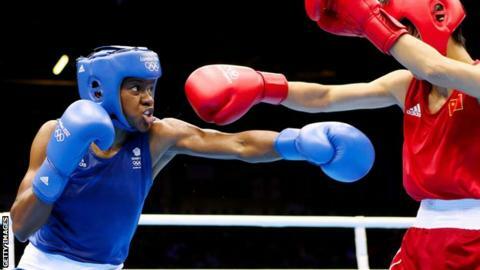 That would mean Adams missing Glasgow 2014, where women's boxing will make its Commonwealth Games debut. The 31-year-old won gold at London 2012 by beating China's Ren Cancan in the flyweight final. "We are monitoring the current situation with the Amateur Boxing Association of England (ABAE) and are extremely concerned about the possibility that English boxers may be prevented from competing at Glasgow 2014," said Adam Paker, chief executive of Commonwealth Games England. "It is clear from recent comments by the AIBA that the suspension of English boxers from international competition is a very real possibility and we are extremely uneasy about the impact this may have on the careers of the boxers and the medal hopes of Team England at next year's Commonwealth Games." The ABAE was provisionally suspended from taking part in competitions earlier in 2013 because of governance issues. The AIBA ruled that Sport England's support for a new ABAE constitution violated an AIBA statute that stipulates national federations should prevent external influences interfering in election and appointment processes. The provisional suspension was lifted in September and the ABAE set up a programme to "reconcile the issues". However, a new ban looms. If a vote at Sunday's extraordinary general meeting (EGM) of the ABAE goes against a new board structure and new rules, Sport England will withdraw £5m of funding and the AIBA will take disciplinary action. That could result in English boxers at all levels being excluded indefinitely from international competition. AIBA and Sport England officials will attend the EGM to "ensure that voting members are not in any doubt of the ramifications of the make-or-break decision they will take on the day". 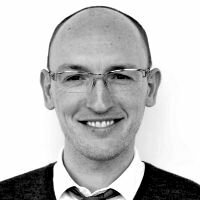 Phil Smith, director of sport at Sport England, said: "All of the resolutions to be considered at the extraordinary general meeting of the company on 24 November 2013 must be passed for the ABAE to meet the conditions of its funding agreement." The dispute has already led to the resignation of former Sports Minister Richard Caborn as chairman of the ABAE. The structure of the sport is a complex one but the disagreement centres around a proposal aimed at modernising the organisation and the make-up of a new board. The ABAE wants both ratified at the EGM but a group of members have a counter resolution calling for the new board to be removed and the old one reinstated. They are thought to be unhappy that power could be taken away from the regions and centralised. An AIBA spokesman said: "If the resolution [to remove the new board] were to be passed, the matter would need to be referred back to the AIBA disciplinary commission for further action. "The disciplinary commission has the power to impose further sanctions, including making a recommendation to the AIBA executive committee for the exclusion of ABAE."